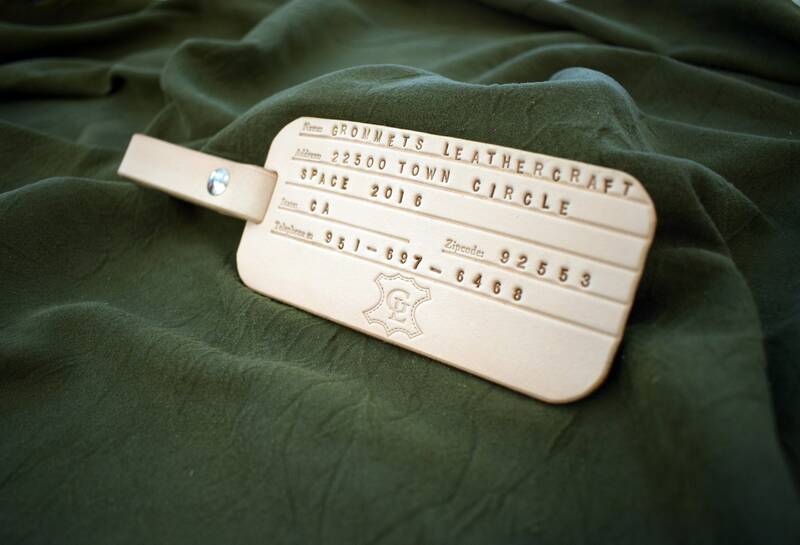 This is a handmade leather luggage tag that has the option of customization. 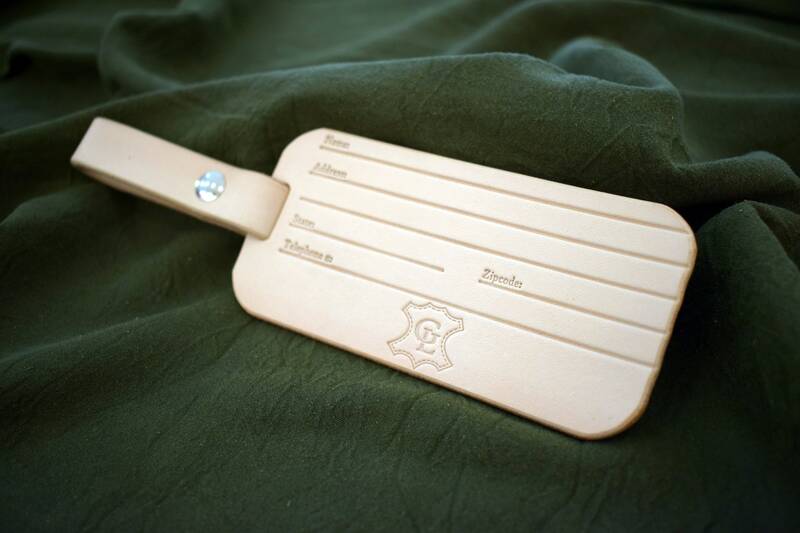 Each tag features a 3/4" wide strap that attaches to your luggage via a Chicago screw making it very securely attached. 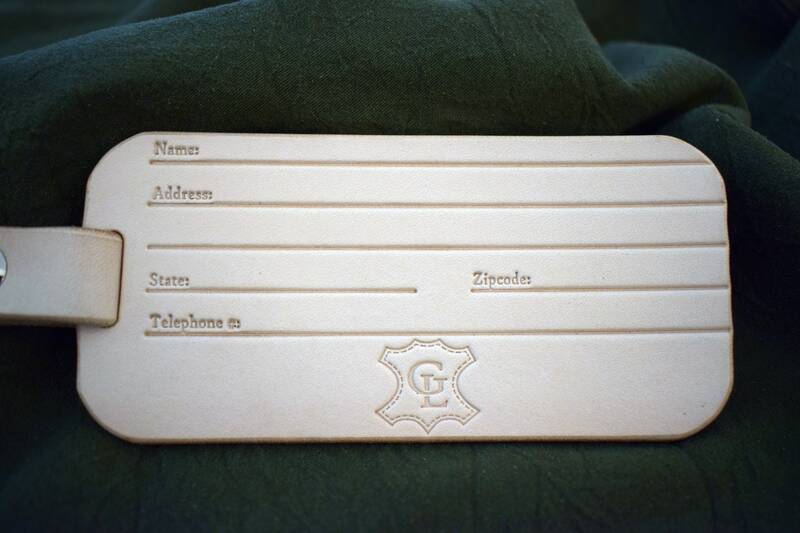 Each tag is stamped with a blank space for your name, address, and phone number where you can either write in your own information with a pen or permanent marker, or have me stamp your information in for an additional fee. If you do elect to have your information stamped, please include your name, address, and phone number as you'd like them to appear on the tag when you order.